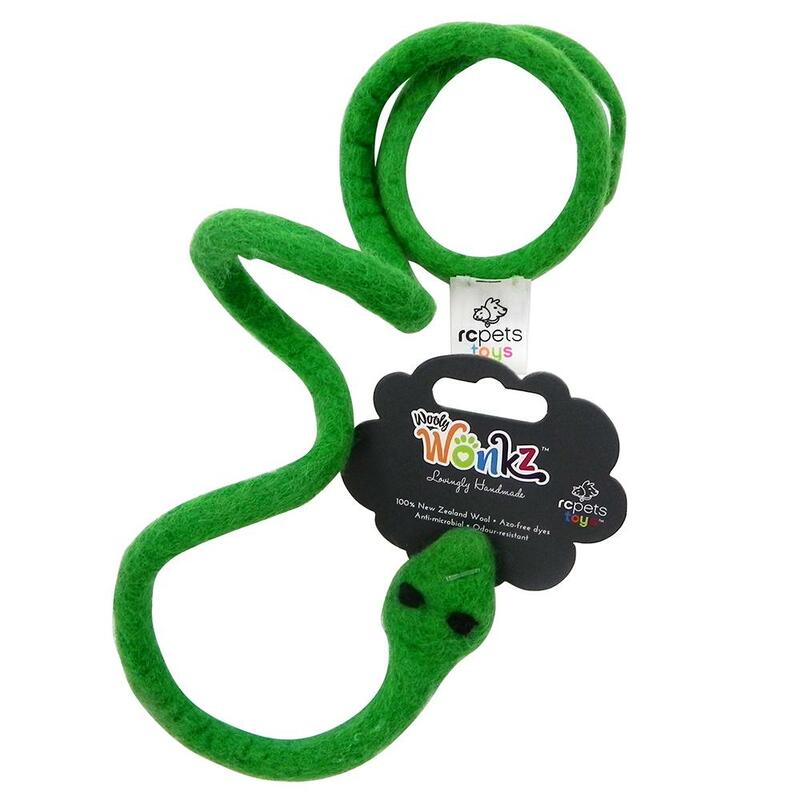 Made with 100% New Zealand wool, this sneaky snake is guaranteed to capture your cat's senses and imagination. With about a foot of green felted wool, this antimicrobial toy will be sure to entice your kitty's inner hunter. This wool is sustainable, eco-friendly, chemical-free, odor resistant, and very resilient, meaning your cat will be able to get many hours of good clean fun out of it.